Does it feel like your immune system is always being attacked? Are you always on the Defense? How about playing some offence and being proactive with your health? 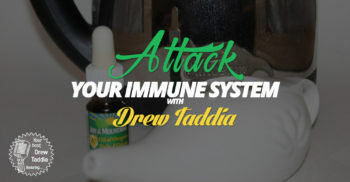 In this show Drew Taddia, host of Exploring Mind and Body flips the script and talks about how you can attack your immune system and prevent before a virus invades your body and compromises your immune system.